It is strange to think that I almost DIDN’T go on exchange. It has become such an integral part of who I am as a person and who I will be in the future. So if you have any doubts, DO IT ANYWAY. Going on an exchange you're definitely going to grow and learn about yourself, you gain responsibility and independence. You learn things are tough, but you work through it. I feel going on the this exchange opened my eyes to things I have never seen and heard about. Students learn a new language, discover another culture, and become global citizens. Exchanges are for students 15 to 18 1/2 years old. Whether you participate in Rotary’s long-term or short-term exchange programs, you will be an ambassador, learning from people you meet about their countries, cultures, and ideas and sharing yours with them. You can help bring the world closer, and establish life-long friendships in the process. 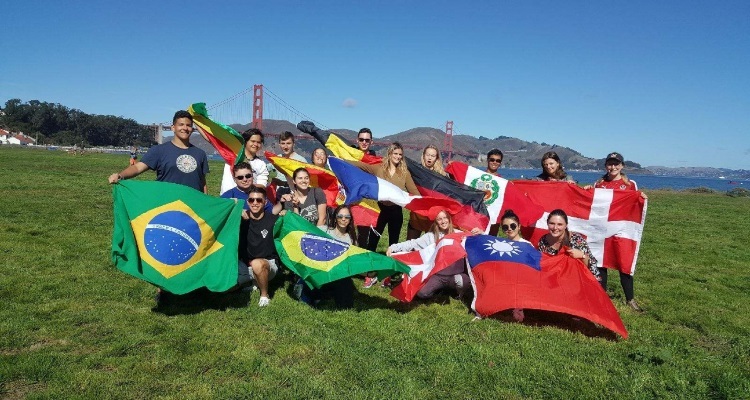 Rotary Youth Exchange is a program through Rotary International, which includes 1.2 million business and professional leaders in more than 33,000 Rotary clubs in over 200 countries and geographical areas. The members of these autonomous clubs, Rotarians, volunteer their time and talents to serve their local communities and the world. Approximately 100 Rotary clubs worldwide participate in Rotary Youth Exchange with the goal of bringing peace to the world one young person at a time through exchange. For detailed RYE information please see the Rotary International RYE Handbook. 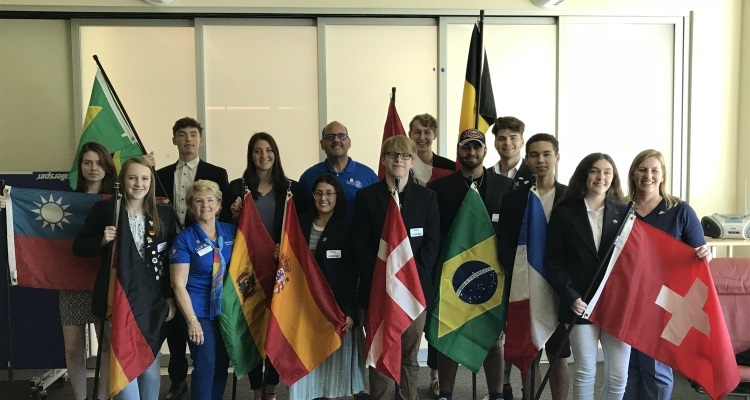 Rotary District 5180 is located in Northern California and provides RYE students, 15 to 18 1/2 years old, with the opportunity to live abroad. Students do not have to be from Rotarian families. All RYE students live with approved Host families for three (3) months and have, on average, three (3) different Host families during their 9-10 months on exchange. Exchange students are required to attend and study in a foreign high school for 9-10 months, while experiencing and learning the language and culture of the host country. RYE is a two-way exchange between Rotary Districts, i.e. one of our students goes to Belgium (Outbound student) and we receive a student from Belgium (Inbound student). 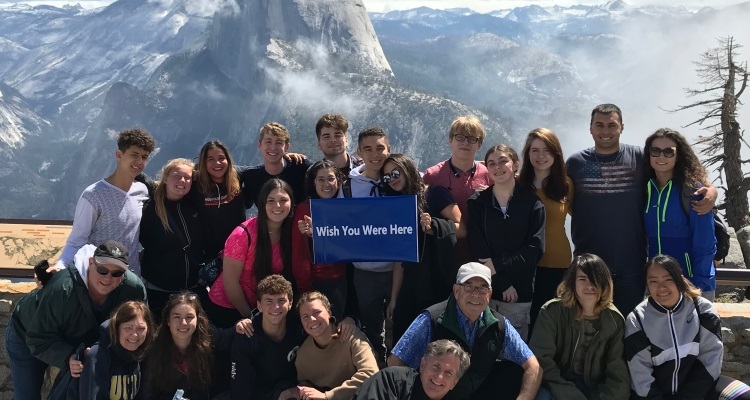 Our District coordinates with each local Rotary club and their sponsored Outbound student’s family to secure Host families for Inbound students coming to the Sacramento area for their educational exchange in the USA. For more details and resources go to our About Us pages on this website. 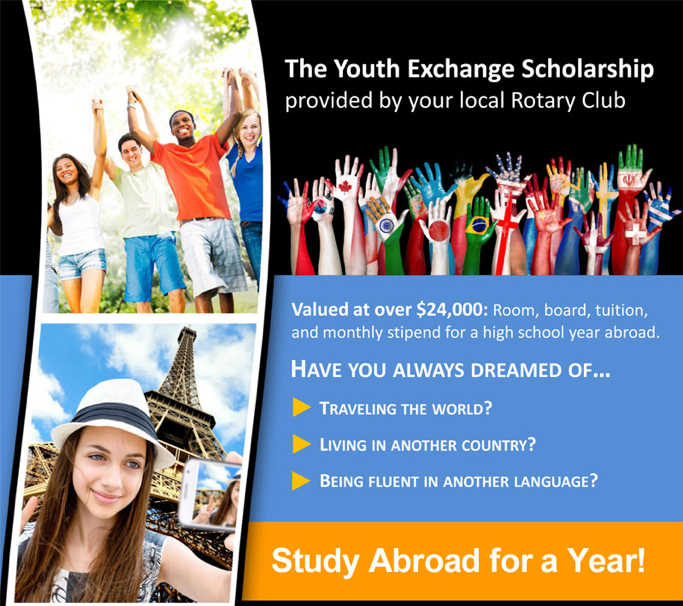 Contact your local Rotary club to explore them being your Sponsor club for your Rotary Youth Exchange year. Click on the link below or go to Volunteers, Club Presidents on this website. 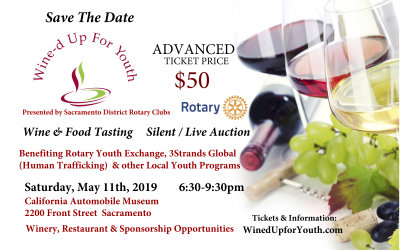 11th - Culinary Event: In conjunction with "Wine-d Up For Youth" fundraising event.